Judy A. “Jude” Foultz, 70, of Lancaster passed away Thursday, March 21, 2019 at Hospice & Community Care in Mt. Joy. Born in Lancaster, she was the daughter of the late Charles and Helen (Ingram) Miller. She worked at Darrenkamp’s grocery store in Willow Street for many years. 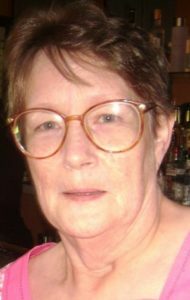 Jude was an avid reader who loved crossword puzzles, music, going to the beach and movies; most of all she loved spending time with her family. She is survived by a brother, Charles Miller husband of Thelma, of Mt. Joy; two nieces, Lori Fishburn wife of Gregg of Lancaster, Denise O’Reilly wife of Michael of Honeybrook. Also surviving is two great-nieces, Kelsey and Neve; one great-nephew, Michael and several close cousins, extended family and friends. In keeping with Jude’s wishes there will be no formal services. In lieu of flowers, contributions in Jude’s memory may be made to Hospice & Community Care, PO Box 4125, Lancaster, PA 17604-4125.